Ambulatory blood pressure monitoring (ABPM) is a relatively new technique for assessing a person’s blood pressure. ABPM allows a doctor to assess your blood pressure during your routine daily living, instead of when you are sitting nervously on the doctor’s examination table. Ambulatory blood pressure monitoring is accomplished with a special device that consists of a blood pressure cuff that is worn on your arm, and is attached to a small recording device that you wear on your belt. You wear the ABPM device for either 24 or 48 hours, and it records your blood pressure periodically (usually at 15-minute or 30-minute intervals) throughout that period, during your routine daily activities and while you are sleeping. So the ABPM provides your doctor with a complete record of your blood pressure for a one- or two-day period. The information the ABPM provides is fundamentally different from the information the doctor gets by taking your blood pressure in the office. The office blood pressure recording is a single value that is meant to reflect your blood pressure during quiet rest (which explains why, given the hectic environment of most doctors offices these days, the readings may not always be entirely accurate). ABPM, in contrast, reports your blood pressures as they are obtained through a wide range of situations and activities — from running to catch a bus to sleeping. And it is normal for a person’s blood pressure to fluctuate tremendously during the many activities a person typically performs in a day. So, unlike the blood pressure you get in the doctor’s office, the ABPM does not report merely a single value for systolic and diastolic blood pressure that supposedly represents your official “blood pressure.” Instead, it reports an entire range of (often) widely variable values throughout the course of a day or longer. Using the ABPM to diagnose hypertension, then, requires a different approach to interpreting your blood pressure recordings. The technique most commonly used for evaluating the results of ABPM is to average a person' systolic and diastolic blood pressures for a full 24 hour period, and also for the hours that the person is awake and asleep. 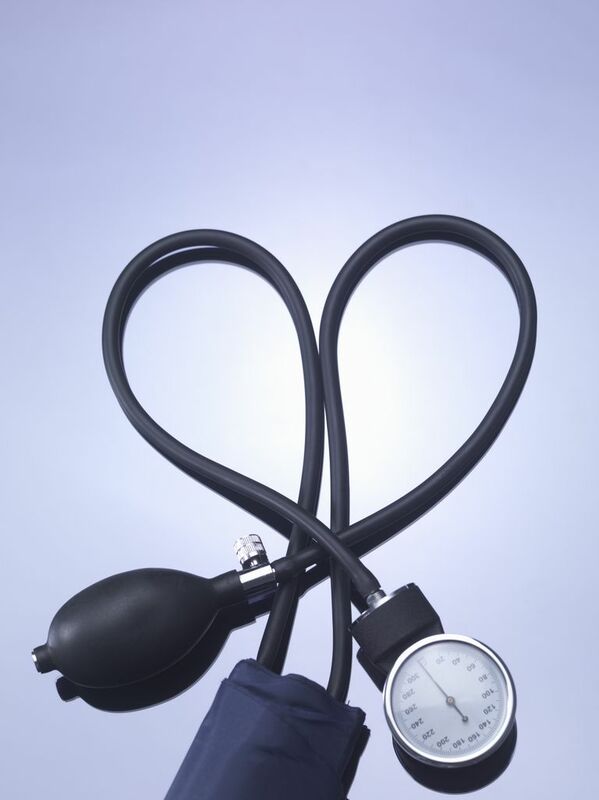 24 hour average: systolic blood pressure above 135 mmHg, OR diastolic blood pressure above 80 mmHg. Average for “awake” hours: systolic blood pressure above 140 mmHg, OR diastolic blood pressure above 90 mmHg. Average for “asleep” hours: systolic blood pressure above 124 mmHg, OR diastolic blood pressure above 75 mmHg. ABPM has been helpful in assessing people with white coat hypertension, allowing their doctors to decide whether their in-office blood pressure elevations actually reflect a “non-resting” state (that is, a state of anxiety), instead of the “quiet resting state” that is required for an accurate in-office blood pressure recording. While many times high in-office blood pressure readings truly indicate that hypertension is present, sometimes that is just not the case. ABPM has also been useful in situations in which it has been difficult to determine the effectiveness of an anti-hypertensive treatment regimen, or when a person is suspected to have abnormally wide fluctuations in blood pressure that make diagnosing and treating hypertension difficult. ABPM can also help in the diagnosis and treatment of some forms of dysautonomia, especially when intermittent and unpredictable episodes of very low blood pressure are suspected. An argument could even be made that ABPM ought to be the standard for diagnosing and treating hypertension, since getting truly accurate resting blood pressure measurements in the doctor’s office can be problematic. In fact, in December, 2014 the United States Preventive Services Task Force (USPSTF) released a draft statement recommending that ABPM be used as the “reference standard” for confirming a diagnosis of hypertension in the doctor’s office. That is, the USPSTF is recommending that ABPM become far more routinely used than it is today. This recommendation is likely to be a controversial one, since ABPM is relatively cumbersome and expensive (costing several hundred dollars for a one-or-two day assessment). However, it makes good clinical sense, and if it prevents the overtreatment of white coat hypertension it may actually save health care dollars. Because of the expense of ABPM, researchers are looking at another type of out-of-office blood pressure measurement, which is often more convenient that ABPM, is home blood pressure monitoring (HBPM). You can read all about HBPM here. Ambulatory blood pressure monitoring is a way of assessing a person’s blood pressure during their routine, daily activities and during sleep. It appears to give a more accurate picture of a person’s blood pressure than the single recordings obtained in a doctor’s office. In a person with white coat hypertension, ABPM is now the preferred method for determining whether actual hypertension is present, and experts are recommending that ABPM be used more routinely in anyone in whom the diagnosis is in any doubt, before committing them to lifelong therapy. Piper MA, Evans CV, Burda BU, et al. Diagnostic and Predictive Accuracy of Blood Pressure Screening Methods With Consideration of Rescreening Intervals: A Systematic Review for the U.S. Preventive Services Task Force. Ann Intern Med 2015; 162:192.